PS. We have so many amazing things coming for Limitless Hairdresser and we want YOU to be apart of it! 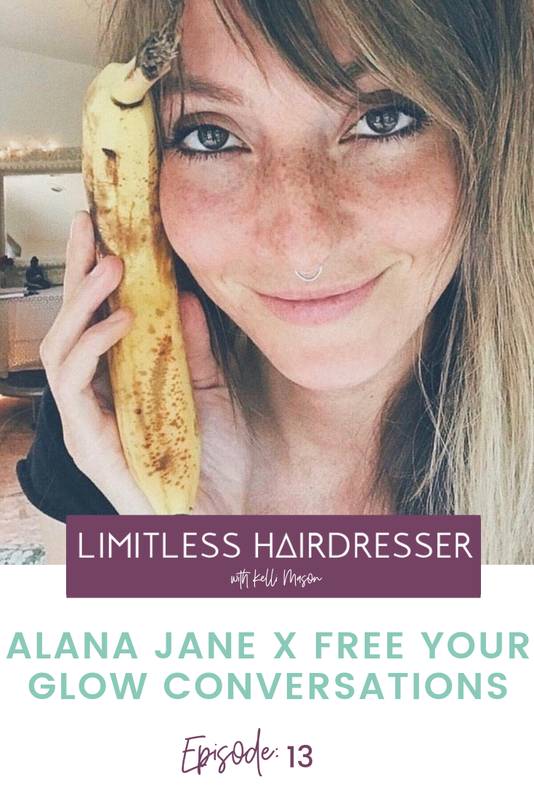 Go to LimitlessHairdresser.com and subscribe to our list so that you can be the first to know the inside scoop! If you love this episode, you will LOVE what we have coming next! Today we are having a conversation with Kristina Cheeseman! She is a brilliant creative color artist, on the Behind The Chair team, works with Trillion Tones, and she is the brightest light! You will have so much fun listening to her point of view and inner dialogue! She knows what it's like to be at a stand still in the career, craving the next level and then basically blowing up overnight and getting to that place! We're also talking about being collaborative with other hair artists, being intuitive and destination happiness! If you love this, post in your stories and tag us! Plug in, tune out to this episode with Kristina Cheeseman! Talking about Manifesting your dream life! We're switching things up to see what feels right for us and also to see what you're liking! It would be so helpful for us if you could give us some feedback in anyway you feel best, letting us know what you want to see more of! What is vibing for you so far? Today's episode was recorded in the middle of the night when Kelli couldn't sleep because she had SO much on her mind! She just needed to purge her mind before she could get to sleep so she sat there in the dark and closed her eyes and went full force. We're talking about creating the life you really want and finding the harmony between life and work! Plug in & tune out! Let us know if this resonates with you! Love and light to all of you Xo. Julia is on the rise as one of the most in demand private health chefs in New York City. She started off her career owning a highly regarded vegan restaurant in the city with her family. She then craved the entrepreneurial life and expanded her healthy wealth of knowledge to curating meals for her clients who are on the go. Recently she started training up and coming private chefs in the city. She also speaks on panels about health and wellness to women entrepreneurs. So, what does a hairdresser talk about with a Manhattan private health chef to the stars? Trending health tips, meal prepping, time management, and how as a rising entrepreneur in the health space she stays energized while growing her empire. But since this mega babe chef just happens to be one of my BFF's, it wouldn't be a real convo without mentioning that special women's time of the month, binge watching our fav Netflix shows, and getting really close in some seedy AirBnB's across the Midwest. We spent a few months on the road in cities all across the U.S. last fall. We brought beauty and health together as we shared our passion for food, wellness, meditation, and HAIR together for a special Conscious Hair coloring Tour. You will love Julia's sense of humor and how she simply breaks down how to live a healthier lifestyle. Plug into the episode because it's filled with lots of laughs and amazing tips!